You will be touched and inspired reading these personal stories—as you share the pride, spirit, and Heart of a Toastmaster! 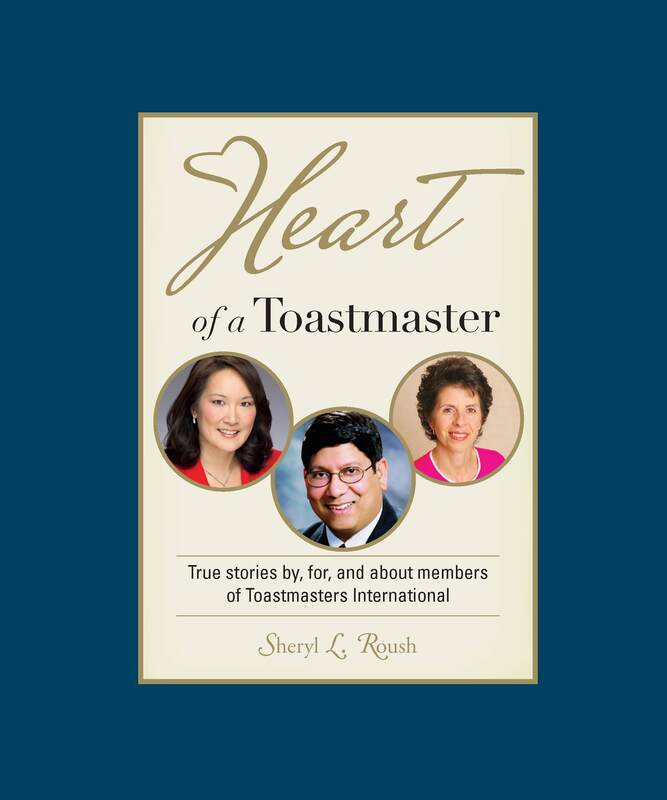 Enjoy 15 amazing Chapters featuring 145 submissions from 133 Contributors in 256 pages, from around the globe, compiled by Toastmaster member since 1987 Sheryl L. Roush. Download the first story on the book, here entitled "Homer" by Helen Blanchard, The First Lady of Toastmasters, abbreviated from her book, Breaking The Ice. CLICK HERE to order your personally autographed copy today! Order your PRINTED copies now, click here.